"Busy schedules, digital devices, long commutes—all of this leads to family members who are disconnected from each other as never before. Psychologists Stefanie and Elisha Goldstein show us ways to strengthen relationships, increase everyone’s well-being, and bring the family back together." How? By practicing mindfulness at all levels of our relationships. This week's featured article from Mindful magazine illustrates practices for cultivating mindfulness as an individual, couple, and as parents. This week, try out one of the 7 practices outlined here for being a calm, mindful parent even when life gets crazy. 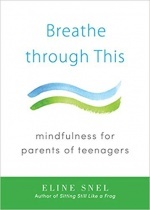 If you have a story about how you've practiced mindful parenting in your life please do share your experiences with the community using this link.